Rhino News, etc. 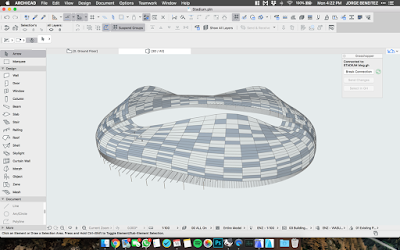 : How does Rhino connect to BIM? How does Rhino connect to BIM? How do you connect a workflow based in Rhinoceros with a BIM platform? This demand is growing in large architecture firms and multidisciplinary firms from the AEC industry. So what is going on? Rhino is a powerful tool for designers in different professions including architecture, construction, and the AEC industry. The challenge happens when designers or professionals working in Rhino need to adapt to the BIM requirements of colleagues working within the same company. BIM is not known for being designer-friendly. But Eugenio Fontan from Enzyme Architecture Office claims that even though BIM is a tool that is not easy to use, it will enhance your design. So how do you connect Rhino with BIM? Eugenio explores several potential workflows. Enzyme believes that connecting such a powerful design tool with the most efficient and smart workflow for the industry is crucial to achieving your best design and bringing it to reality.